Student Government Association, Rotaract Club, Alpha Kappa Alpha Sorority,Inc.,NAACP,Umoja (African American Female Unity Organization) Concert Choir, and Pre-Alumni Council"
My career goal is to become a pediatric oncologist with hopes of one day working at St. Jude Children's Research Hospital. 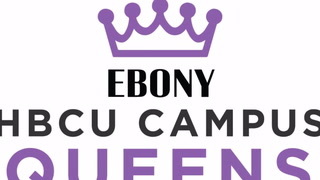 "My most memorable contribution as a Campus Queen was working our Bridge Program at Livingstone College. Our Bridge program is a 6 week program that gives highschool students who graduated with a lower grade point average than a 2.0 the opportunity to attend college. This experience was more than rewarding because it gave me the opportunity to mentor young black men and women by giving them a sense of purpose and helping them realize that they are not their circumstances,but are able to overcome any obstacle that is thrown their way."